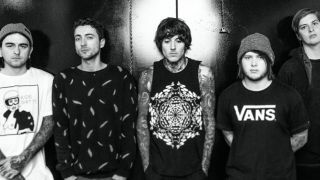 Bring Me The Horizon have released a video for their track Avalanche. It’s taken from their latest album That’s The Spirit, released last year. Tom Sykes, brother of frontman Oli, directed the video. Tom says: “This is the first time we’ve worked on filming and editing the whole project. Having creative control over every aspect from start to finish was great, it was a lot of work but extremely rewarding. BMTH perform on the Other Stage at Glastonbury on June 24 (Friday).